Protec Metal Prime is a premium plus interior / exterior advanced technology alkyd emulsion water based metal primer. This product has excellent adhesion to ferrous and non-ferrous metal. It also provides excellent corrosion resistance, particularly, when it is top coated with Protec Alkyd Emulsion (9900 Gloss, 9800 Semi-Gloss and 9700 Satin). Protec Metal Prime contrary to conventional solvent based primer is low VOC and very low odor. 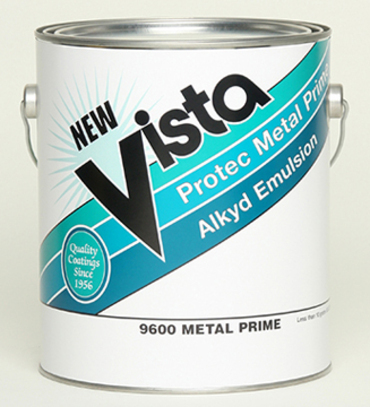 It is ideal for use on light industrial, commercial, and residential metal surfaces. Recommended Uses: Ideal for use on structural steel, equipment, wrought iron, aluminum, anodized aluminum and metal buildings. NOT RECOMMENDED OVER GALVANIZED SURFACES.